We’re just a few days away from the official first day of autumn, and I’m ready to hit the comfort food hard. 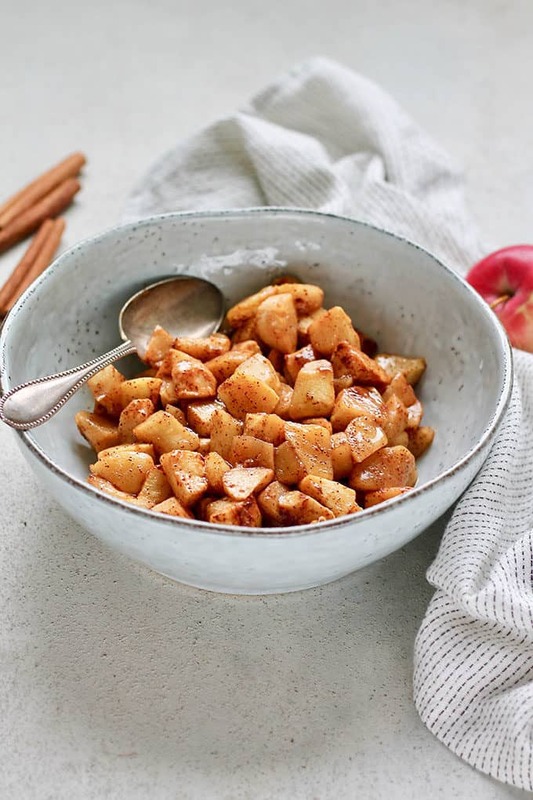 I thought we could dip our toe into the flavours of fall with this incredibly easy recipe for Cinnamon Roasted Apples, but I must warn you, once these are behind us it’s a no-holds-barred onslaught of apple and pumpkin recipes coming atcha full speed. So whyyyyyy are we kicking off with Cinnamon Roasted Apples? Well folks, they’re damn easy and damn delicious, two things you really can’t argue with. They take just a few minutes of prep work, a short stint in the oven, and what you’re left with at the end tastes like the inside of an apple pie, which I’m sure we can all agree is the best part. 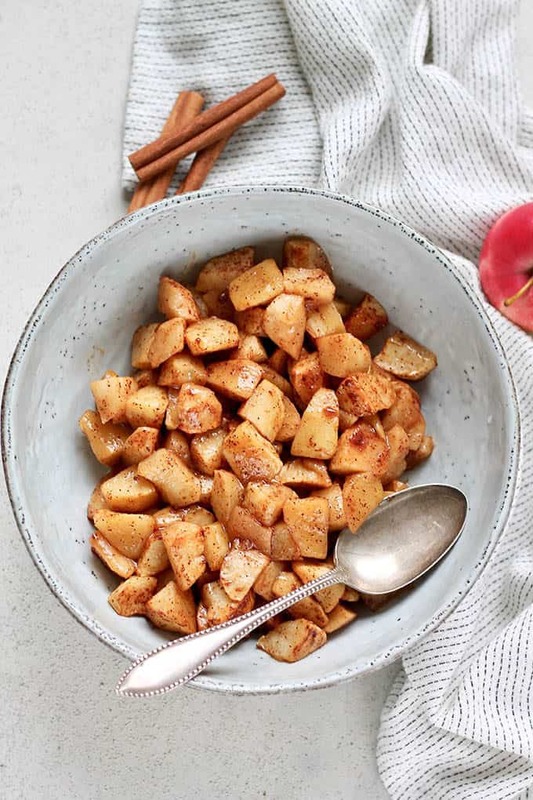 What goes into Cinnamon Roasted Apples? Guess what? It starts with apples! Go for a crisp, fresh apple that holds its shape well when baked, like Jonagold or Granny Smith. Cinnamon. Yes, this is an essential ingredient for cinnamon roasted apples. Butter! Yes sir. The butter helps create a touch of that syrupy-ness you’d expect on the inside of an apple pie. Brown sugar. We’re doing it! The sugar helps to draw out the sweetness in the apples. How do you make roasted apples? First, you’re going to want to peel and chop your apples. There’s lots of great nutrients in apple peel so I’m normally loathe to take it away, but for uniform baking I really do recommend it here. But your roasted apples are your business, so if you want to keep the skins on then be my guest. We’re going to line a large rimmed baking sheet with parchment paper and scatter the apples about. 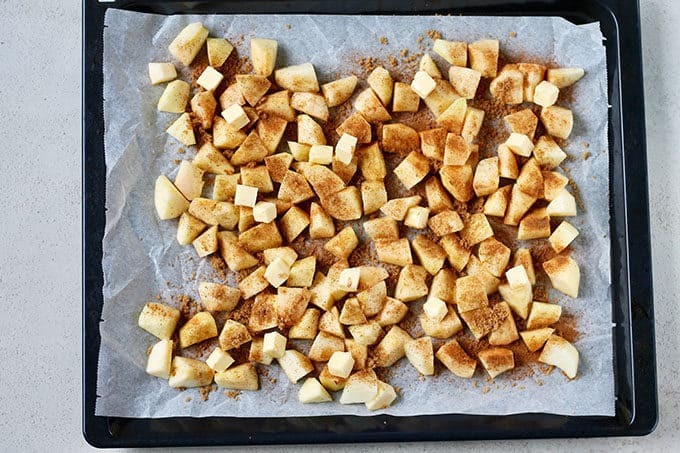 Sprinkle the brown sugar and cinnamon over top and give the apples a good toss to ensure they’re well coated. Then, scatter those butter cubes around and chuck the whole tray into the oven. Bake for 10-ish minutes, give the apples a good stir, and then bake for another 5-10 minutes. The goal is apples that are soft and golden, but not at all mushy. What are the best kind of apples to use for this recipe? Choose something that’s got a nice tart flavour and that holds its shape while baking. Granny Smith or Jonagold are good options. 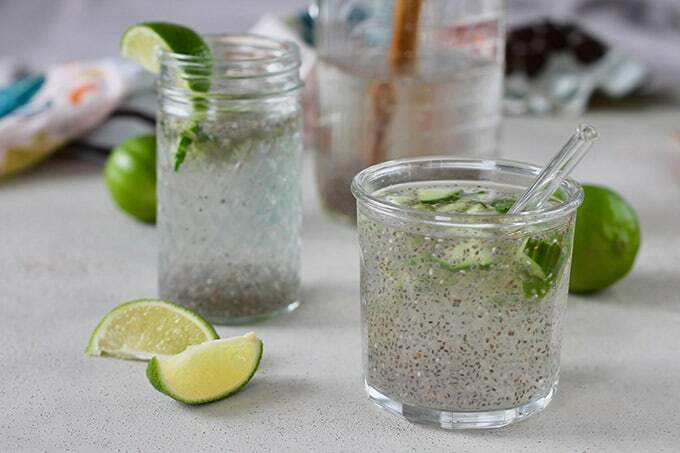 Can I reduce the sugar in this recipe? If you want to. But there’s only a tiny bit in there to begin with, so I don’t really recommend it. Can I replace the sugar with something else? Totally. You could use an equivalent amount of maple syrup instead. Can I mix up the spices? Definitely! 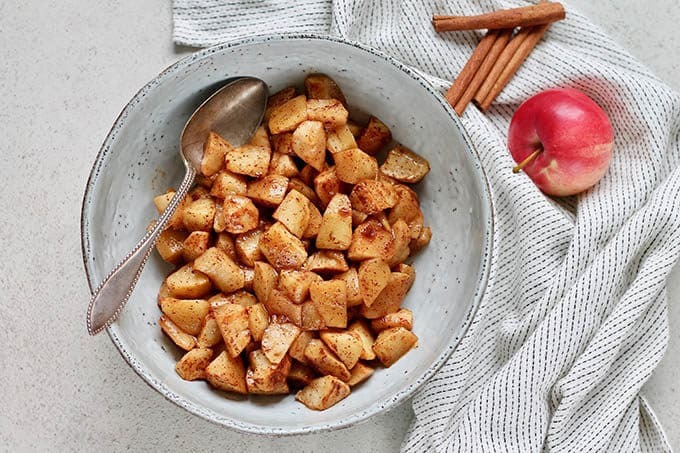 Cardamom, allspice, ginger and nutmeg all go great with apples – but a little goes a long way, so tread carefully. 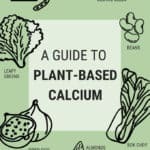 Can I make this recipe vegan? If you use a vegan butter substitute or a plant-based oil instead of the butter then it’s vegan all the way. 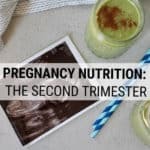 Hey Nutrition Lady, tell me about apples! Does an Apple a day really keep the doctor away? Well, they’re definitely good for your heart! Apples boast well-documented cardiovascular benefits. 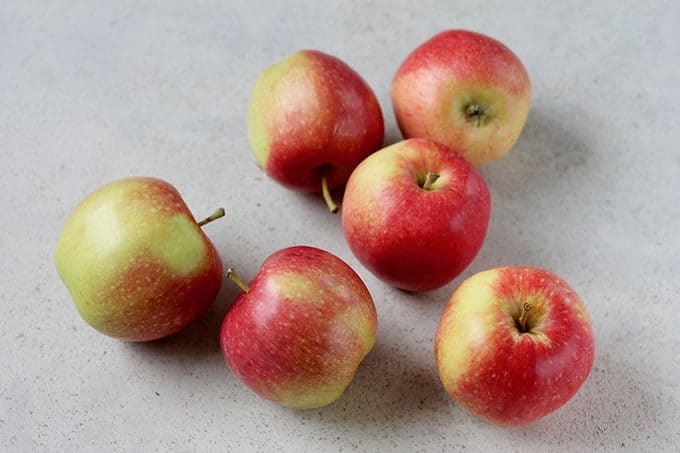 These benefits are associated with the water-soluble fiber (pectin) content, and the polyphenol mixture in most apples. Both total cholesterol and LDL (bad) cholesterol are decreased through regular intake of apples. Another health benefit of apple consumption is blood sugar regulation. This occurs in a number of ways, including reduction of glucose absorption, slowing down of carbohydrate digestion, stimulating the pancreas to produce more insulin, and stimulating insulin receptors so that more sugar flows out of our bloodstream and into our cells. Apples also appear to have anti-cancer benefits when it comes to breast, colon, and lung cancer. Apples are a good source of fiber (both soluble in the form of pectin, and insoluble), and vitamin C. The nutrients in apples are concentrated in the skin, so buy organic, give them a good wash, and keep the skin on whenever possible. Preheat your oven to 200°C / 400°F. 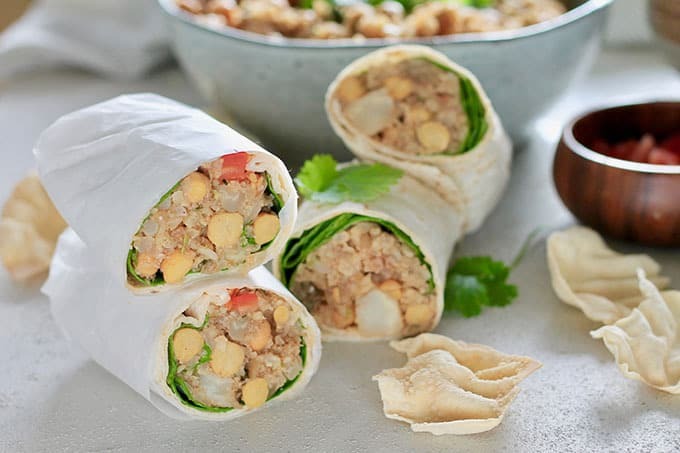 Line a large baking sheet with parchment paper, tinfoil, or a silpat. 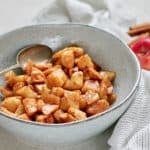 In a large bowl, toss together apple chunks with the cinnamon and sugar until the apples are well coated. 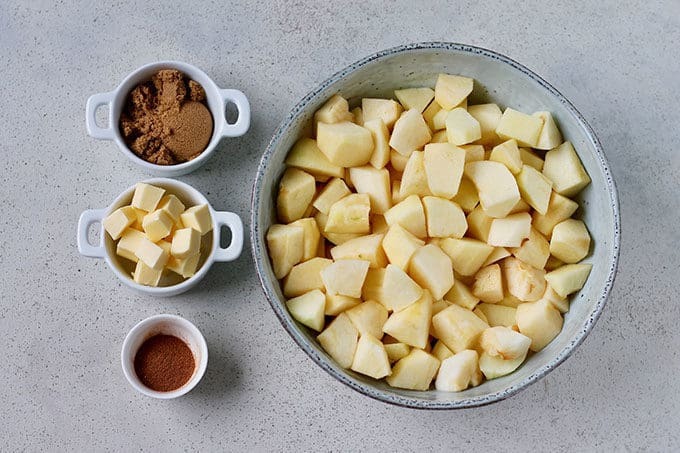 Scrape the contents of the bowl onto the prepared baking sheet so the apple bits are in a single layer. Scatter the butter cubes around the tray. Bake for 10 minutes, then remove the apples from the oven, stir, and replace to make for another 5-10 minutes, until the apples are soft and golden but not mushy. Enjoy warm, cold, or at room temperature! What are the best kind of apples to use for this recipe? Choose something that's got a nice tart flavour and that holds its shape while baking. Granny Smith or Jonagold are good options. 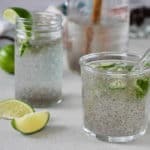 Can I reduce the sugar in this recipe? If you want to. But there's only a tiny bit in there to begin with, so I don't really recommend it. Can I mix up the spices? Definitely! Cardamom, allspice, ginger and nutmeg all go great with apples - but a little goes a long way, so tread carefully. 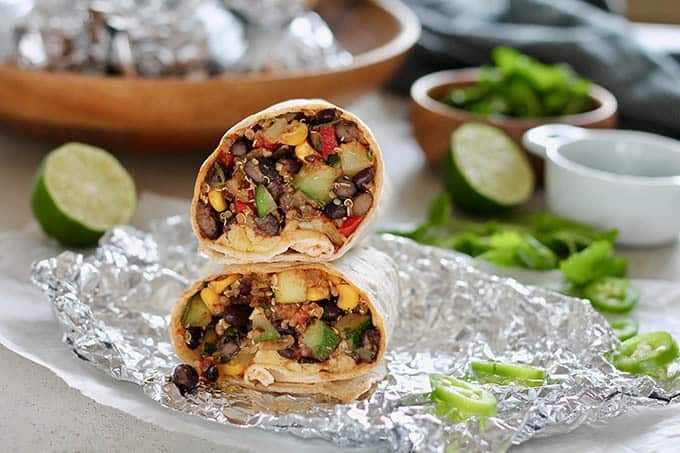 Can I make this recipe vegan? If you use a vegan butter substitute or a plant-based oil instead of the butter then it's vegan all the way. This recipe was originally published October 4, 2012. It was retested, rephotographed, and updated on September 18, 2018. Roasting apples like this is such a clever way to prepare them. I love the idea of having a bowl on hand to stir into my yoghurt in the morning. And I’m definitely looking forward to that muffin recipe! What a perfect breakfast treat Katie – Beautiful pairing! Perfect for breakfast, dessert, snacks. 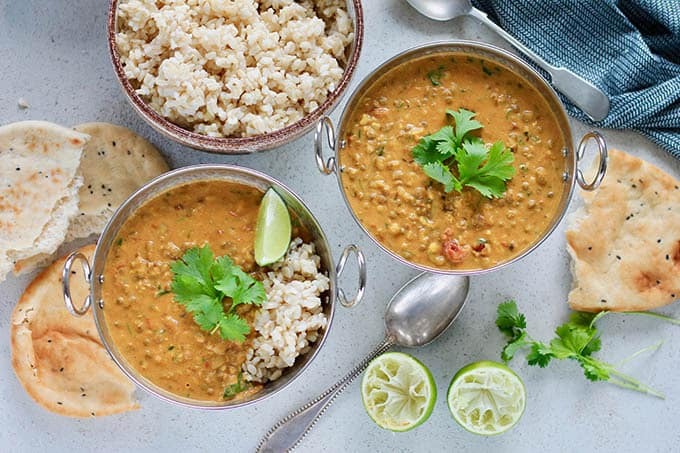 So simple and delish! 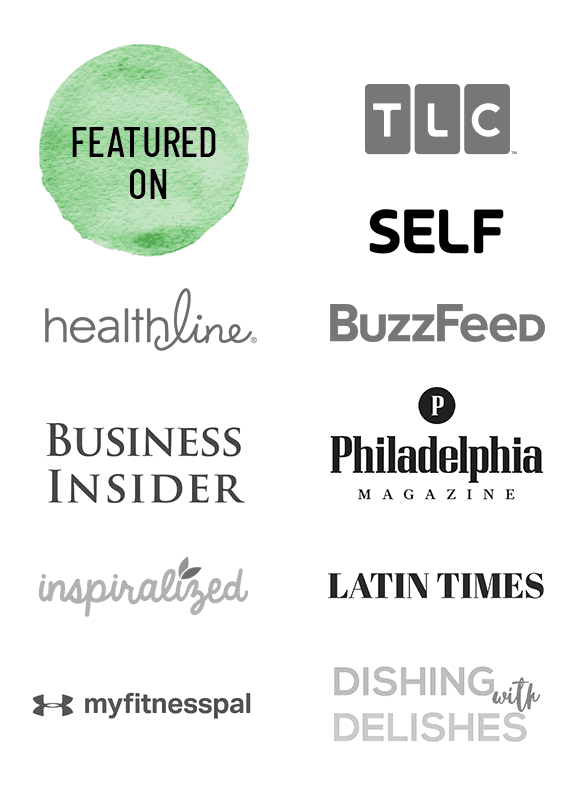 I am dying to see the muffin recipe – sounds awesome! It’s really good! Will post soon! We so think alike! Not only did I do a fruity thing last post (with baklava ‘crumble’) but your recipe from last year – the pumpkin and black bean taquitos – has loud echoes (or maybe I’m doing the echoing!) 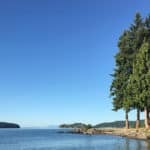 of what I have just posted. So glad to have met you at FBC and had a chance to have a few good chats. Good luck with your studies and work. 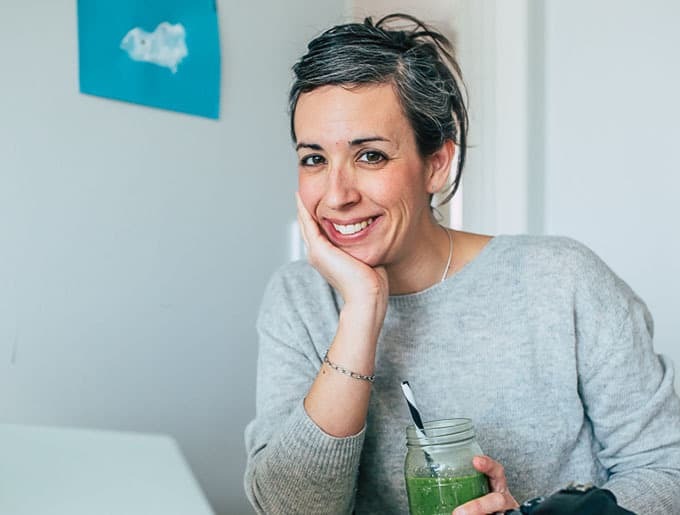 Stockholm is lucky to have you, Katie. 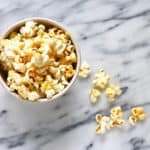 Great blog, super recipes and screen-licking good images. It was great to meet you too, Kelli! 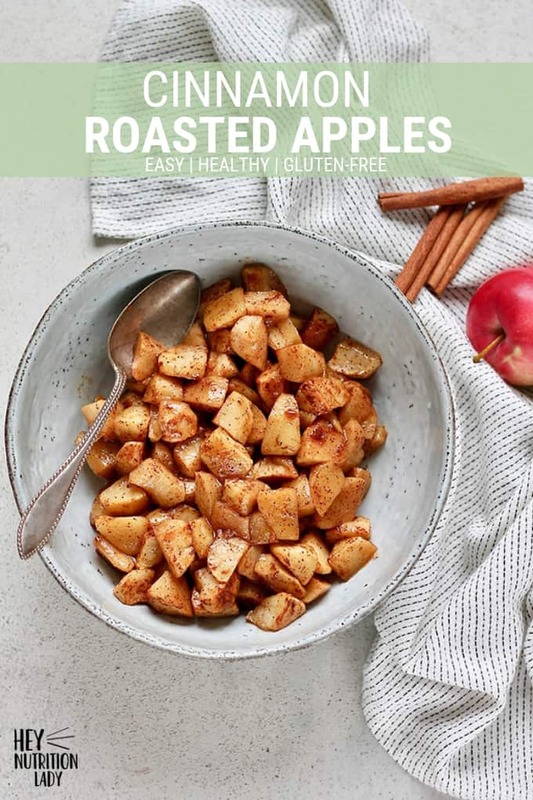 Your baklava crumble looks awesome, I bet it would be a great topping for these roasted apples. Yum! Ooh, these look so good! I’d totally love them on a big fluffy Belgian waffle! These are so delicious and comforting! We freeze them so that they’re always on hand when we get a hankering for a snack. Freezing them is a great idea! 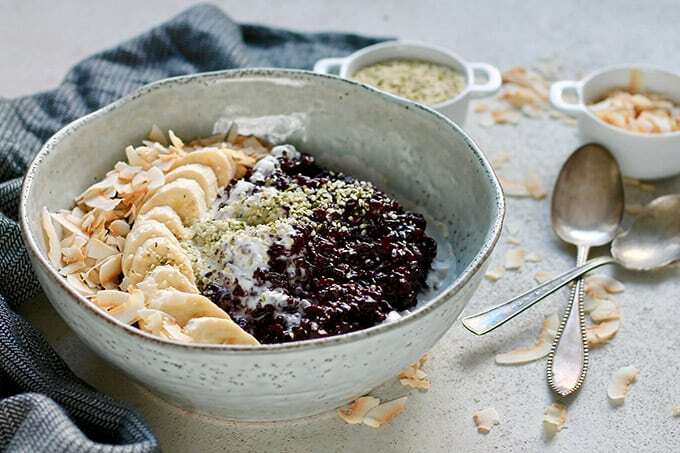 Healthy dessert on hand any time you want! Oh my!! This looks so great! 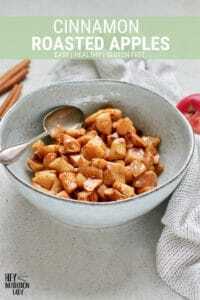 I am a big fan of cinnamon apples and this recipe is just perfect.